The solar boiler with two coils 500 litres. They are made with enameled or Cr-Ni water containers. 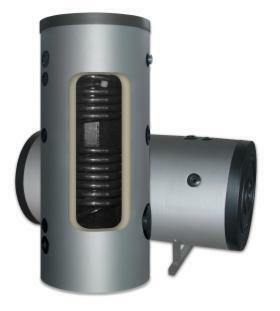 The enameled boilers are secured with an anode protection to provide for many years of operation. 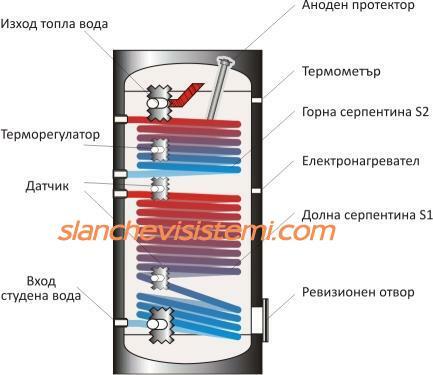 The boilers are offered both in vertical and horizontal execution. Those with horizontal execution have leads for hot and cold water, turned to the right as per standard. They can also be produced with leads turned to the left upon request.